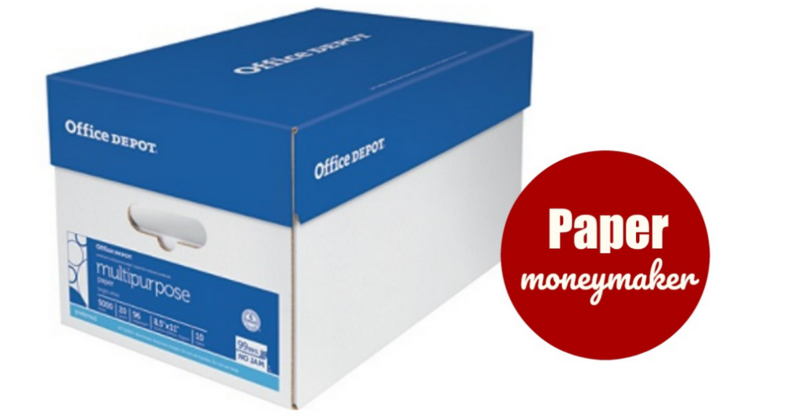 This is a great way to save on paper for printing those coupons! Head over to Office Depot/Office Max where you can get a 10 ream case for $39.99, regularly $57.99. This same paper qualifies for a $40 Office Depot Gift Card mail-in rebate plus use code 94140557 to save an extra 20% on your order! makes it FREE plus $11.21 Money Maker!